Is it time to change your Talent Acquisition System? Just in case you missed it, during the Society for Human Resource Management (SHRM) Talent Conference, they announced a new specialty credential in talent acquisition that will launch in June 2018. It demonstrates your knowledge and skills specifically in talent acquisition. I was really surprised by some of the data in this talent acquisition infographic from our friends at HireRight. Organizations need to include contingent workers in their talent acquisition strategy. We’ve talked a lot about the need for change in human resources. Written by: Jonathan Lacroix Choosing the correct Talent Acquisition system can be challenging, especially for small and mid-sized companies. It often is going from a paper process with spreadsheets, to the cloud using a SaaS vendor. AI has begun revolutionizing talent acquisition/management, so more time can be focused on recruiting strategy and candidate relationships. How to” Takeaways: Strategically target talent using predictive signals, position matching, and automated sourcing. Organizations today recognize that to execute their business strategies successfully, they need to have the right talent in place. And in order to have the right talent in place, they need to build a mature, high-performing talent acquisition (TA) function. You’ve invested a ton of time and money in your shiny, new Talent Acquisition System. Countless hours of planning, testing, and executing have been spent to deliver the perfect solution for your talent organization. Written by: Kerry Hall. Talent Acquisition Systems have evolved to assist HR Recruitment in creating a strong candidate pipeline to refer to as hiring needs escalate. A negative perception that I have encountered in the mid-market with Talent Acquisitions solutions is the cost of ownership. The global economic recovery has moved power from employers to employees, turning talent into a seller’s market—and making the workforce a core strategic concern for the c-suite. HCI Strategic Talent Acquisition Conference. CB Talent Acquisition Conference. (Editor’s Note: There are A LOT of detail in this post about SHRM’s new talent acquisition specialty credential. 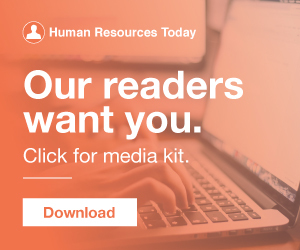 A couple of month ago, the Society for Human Resource Management (SHRM) announced a new specialty credential in talent acquisition that is launching this month. Written by: Jonathan Lacroix Over the years, I’ve had many discussions with clients thinking that it’s time to change their current Talent Acquisition System (TAS). I listened in on a panel discussion during this year’s SHRM Talent Management Conference when I hear a recruiter say, “My job is to fill openings.” A recruiter’s job is to fill the company’s talent pipeline.”. Filling Your Talent Needs with “Build” Recruiting Tactics. Talent Acquisition has re-invented itself. This was a recurring theme that we saw in 2016, and thanks to analytics , Talent Acquisition has graduated from a simple candidate filling function to a strategic arm that has a direct correlation to an organization’s bottom line. Talent acquisition is arguably the one HR area that provides the biggest advantage to a business. It’s no surprise, then, that spending on talent acquisition by U.S. Without talent analytics, it’s difficult to accurately identify what makes a strong hire. rapidly changing the way many recruit and hire talent. who source and hire talent. and sourcing talent. surveyed spend at least 30 hours a week sourcing talent, it comes as no surprise. relevant talent. back to the center of the talent acquisition process. 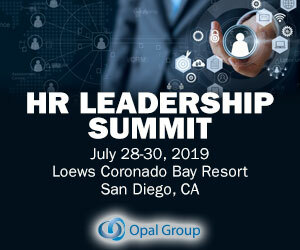 Each year brings new opportunities and priorities for HR and talent leaders. This year we began the inaugural Global Talent Acquisition Sentiment Study. The post 2017 Talent Acquisition Priorities (High and Low) appeared first on Lighthouse Research & Advisory. With more than 2000 vendors in the space, the Talent Acquisition (TA) technology landscape is large and complex. Our 2017 research on Global Human Capital Trends called experimentation with tech solutions and services the biggest disruptor in talent acquisition today. Often, you don't usually pause to think about the "why" because talent acquisition is often viewed as an administrative function. We sat down with Lagunas to find out how recruiters can drive talent acquisition into the 21st century. Talent acquisition is evolving. Today’s recruiting tools will not only makes processes such as these faster, but also allow you to get the talent that matches your company’s needs. There are a lot of moving parts in the world of talent acquisition. We will be compiling these results into a brand new Talent Acquisition Sentiment Study that will help to shed light on recruiting priorities, challenges, and opportunities in the coming year. Visier ’s The Demand for Data-Driven Talent Acquisition report is a very quick read and gives some interesting data to consider as you plan for your 2017 talent acquisition activities. in employing data-driven processes for talent acquisition. In the world of in-house HR, Recruiting, and Talent Acquisition, there are generally. Built By Recruiters for Employers The Complete Guide to Buying an Applicant Tracking System Newton Software, Inc. © | 415-593-1189 | sales@newtonsoftware.com What is an ATS? Why do you need an ATS? But despite their deep understanding of talent, HR can’t create an effective plan on their own. HR in turn needs input from the departments they support—like sales, marketing, and product—to better understand talent and timing needs for each department before nailing down a workable plan. Talent acquisition is arguably the one HR area that provides the biggest advantage to a business. It’s no surprise, then, that spending on talent acquisition by U.S. Help you optimize spending on talent acquisition. Each year, Human Resource Executive (HRE) puts on the Recruiting Trends & Talent Tech Live! 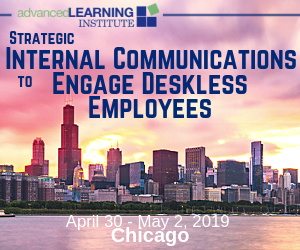 Conference to explore the latest and greatest recruiting trends shaping the talent acquisition landscape. Believe it or not, it’s similar for talent acquisition – you must find your own unique way to stand out if you want to be noticed by the best job candidates You’re standing in an art gallery filled with paintings. What draws your eye toward a particular canvas? Whether looking at implementing a new talent acquisition system or upgrading the one you already have, it’s important to strike a balance between making sure you’re getting the information you need, without scaring off the very people you want to use the system. Technology has revolutionized talent acquisition like never before. In this blog post, you will discover 5 keys ways technology has reshaped talent acquisition in a few recent years. Eager to build a digital talent acquisition (TA) organization? The post Insights from IMPACT 2018: Talent Acquisition in the Digital Age appeared first on Bersin by Deloitte. Cognitive Technologie HC Insights Talent AcquisitionYou should be: Top-performing TA teams are four times as likely as their low-performing counterparts to embed advanced technologies like cognitive tools and AI into their work.